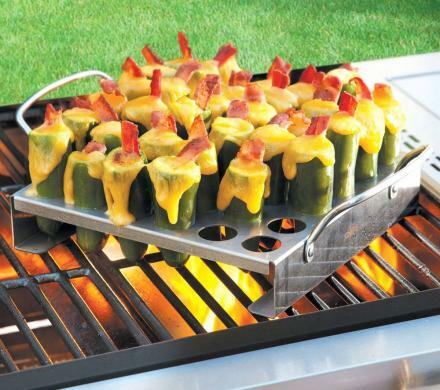 The Jalapeno Grilling Rack is a metal grilling rack that will allow you to easily cook stuffed jalapenos on the grill to help with cooking them evenly and doing so without spilling the contents of the jalapenos into the fiery depths of your grill. 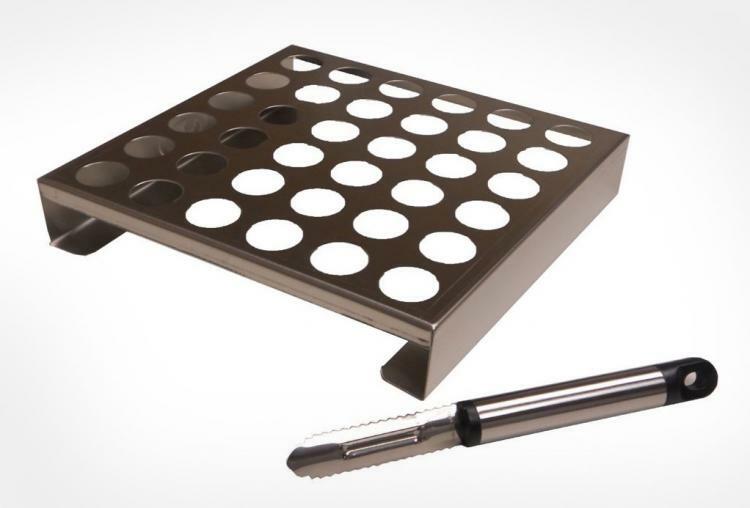 The Jalapeno grilling rack allows for up to 36 jalapenos to be cooked on your grill at the same time, plus it comes with a jalapeno corer so you don't have to spend 3 hours coring them by hand and getting jalapeno juice in the cuticles of your hands and wishing for death to come to you as quickly as possible. 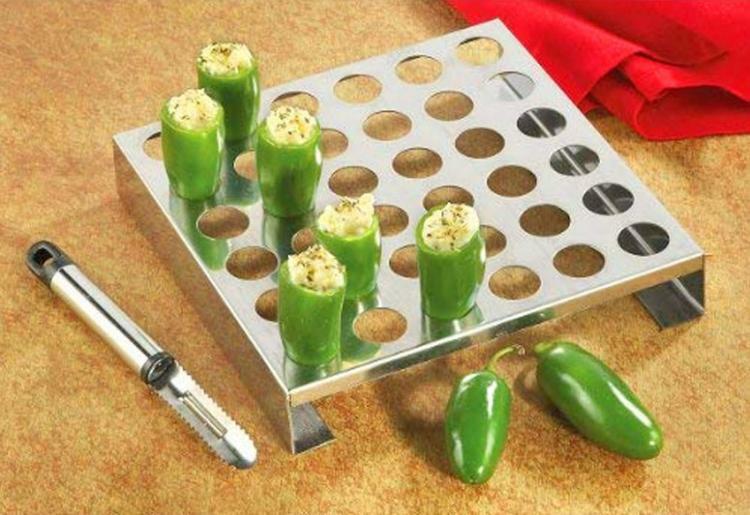 Perfect for the grilling snob, jalapeno lover, or the spicy food connoisseur of your household, the jalapeno cooking rack is the perfect way to cook bulk jalapenos on the grill. 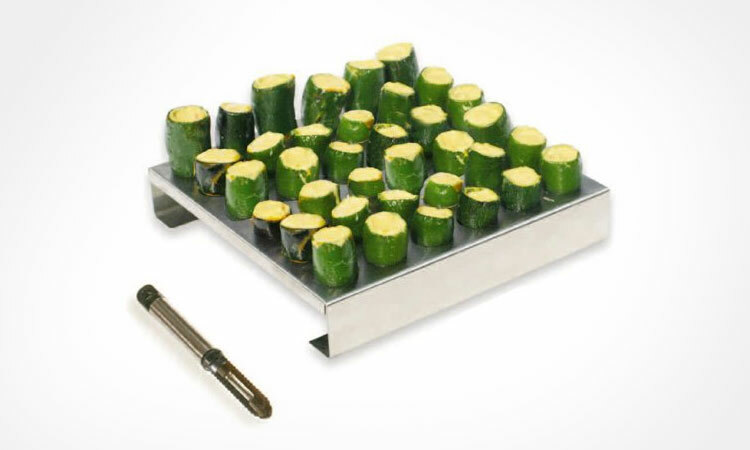 The jalapeno rack is made from stainless steel, will work with smokers, grills or ovens, and measures 9.2 inches wide x 9.2 inches long x 1.8 inches deep. 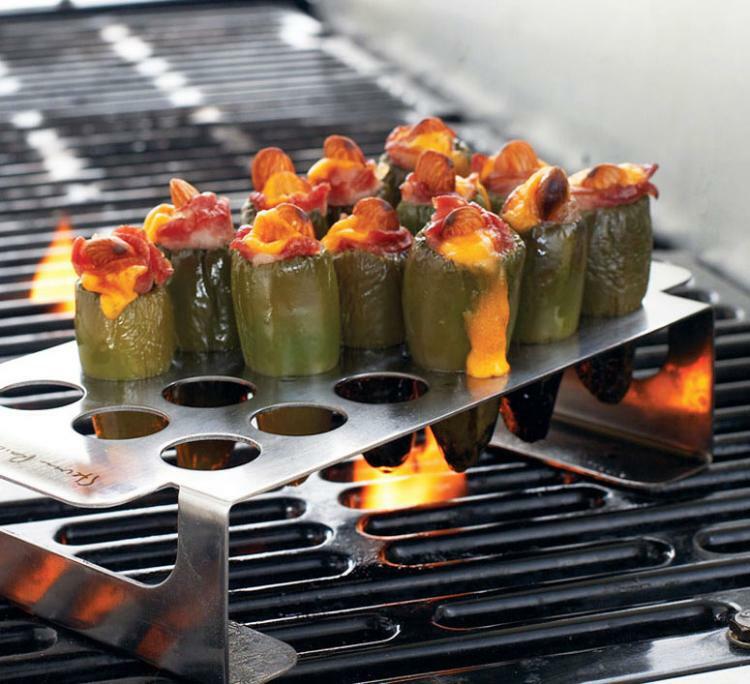 Check out the jalapeno roasting rack in action via the video below.